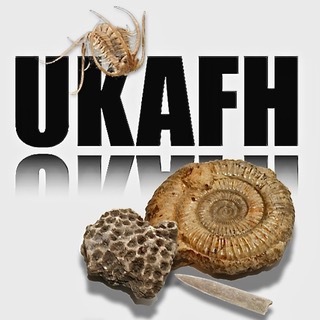 UKAFH members and attendants made some stunning finds at Ketton Quarry. This one mile wide quarry yields a wide variety of fossils. First up, Andrew Marsh, shares his finds with us, including his TWO! rare asteracanthus teeth. Some more finds by Alister and Ian Cruickshanks including a complete clypeus echinoid. Leader Craig Chapman also found various fossil shells a clypeus echinoid and ammonite fragments. This entry was posted in Finds and tagged Finds. This enormous coprolite of a Hybodus shark from the Lower Lias of Lyme Regis, was found by Martin Curtis at the recent UKAFH hunt to Black Ven. Lizzie Hingley found this lovely articulated vertebrae section (right) from an ichthyosaurus on the ledges under Black Ven on the UKAFH hunt to Lyme Regis. Sam Caethoven found her first plesiosaur vertebra (below) on the ledges under Black Ven at Lyme Regis. Vicky Smith’s son found this Stigmaria, part of the root system of a Carboniferous lycopod, on a Hampshire beach. It was possible washed up from a ship’s ballast, bound from a colliery. This entry was posted in Finds.